Fly on your magic carpet. 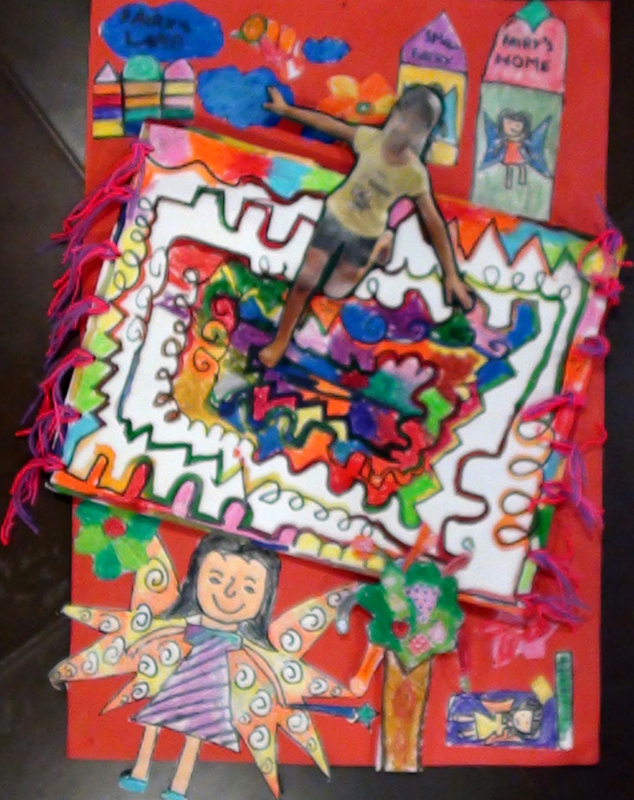 Lines lend themselves to so many art projects, and this one really excited the kids. 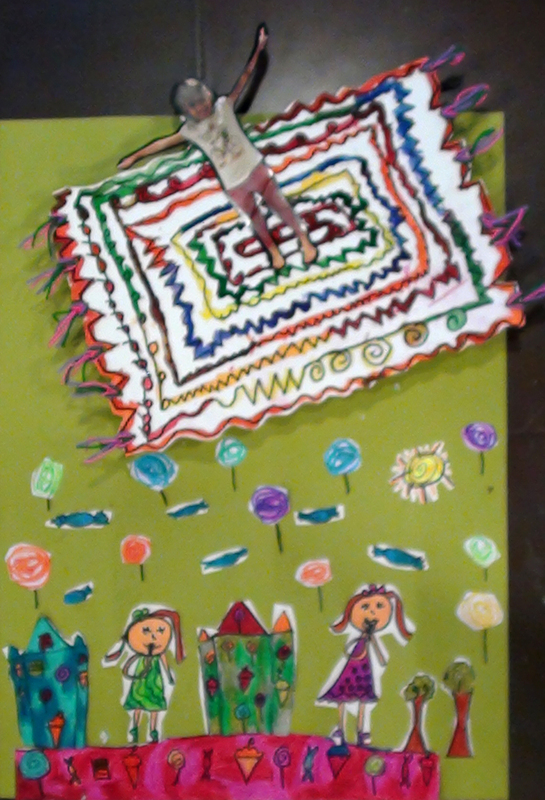 The took a line for a walk on a paper, colored it and added tassels to make it into their magic carpet. 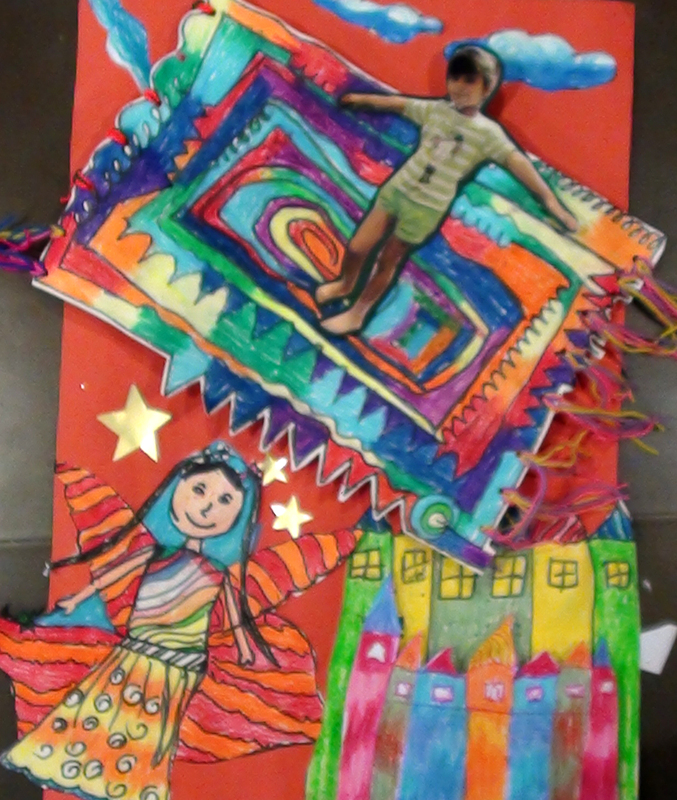 They painted a town/city they would like to fly over and finally added their own photograph on the magic carpet. Wow! We are ready for a great journey.